Revelation chapter 3 is a chapter of present and urgent truth for God's people today. 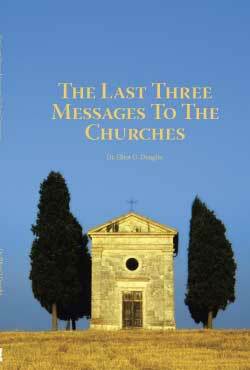 The messages from Jesus to Sardis, Philadelphia and Laodicea are messages to three end-time religious groups, all of which profess to be God's church and all of which co-exist for a crucial period of the time of the end. A comparative study of the three messages bring to light definite and clear cut principles of God's dealing with His people, principles which are unchanging in nature and application. God is now preparing a world-wide people for the final outpouring of the latter rain of the Holy Spirit, and for the final crisis. It is for this reason, brothers and sisters, that the Philadelphian message is present truth. We must possess the love of God in our hearts. We must know the gospel as a living experience. We must walk in the advancing light. We must pray and study with earnestness and intensity. We must have a sense of urgency. We must be united in the present truth in the bond of the Spirit. We must reflect the character of God from one level of glory to another. We must be Philadelphians or else we will be lost!